You have surveyed the market, shaped your offering and now have something to sell to consumers what you know is a unique value proposition. But you still face the age-old challenge: the market is dominated with incumbents some of them with decades-old brands and hefty advertising budgets. Your go-to-market plan will typically have several channels like events, retail advertising, supply chain deals and promotions.. How can you, as a newer entrant, cut through the market, get noticed and start building your customer base? The magic juice to supercharge your efforts could be digital coupons. 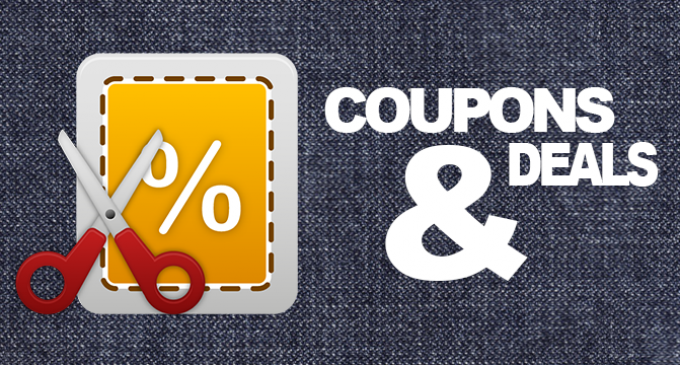 So, what exactly are digital coupons? They are codes designed to offer a deal or a discount on a particular product potentially tailored to specific retail locations and time periods, distributed to audiences ranging from large groups (through mass advertising) or to a single consumer (one-to-one personalised), using channels like email, SMS, company or affiliate-owned apps or through advertising. What are they generally good for? Basically two things: advertising and price discrimination. The advertising part is obvious: the listing or information push of your product helps you to reach consumers — in some cases it can be a very tailored one-to-one push — with no advertising spend. For products which are already in the market, offering a deal or a discount using vouchers allows you to reach out to consumers that are price sensitive or that are not current purchasers of your product or service. No wonder that Kantar Media released a study that found that up to 80 percent of all new product launches in 2015 included digital coupon promotions. Coupons are especially important for products or services that are “experience-based”, where consumers need to be able to try out what is being sold to appreciate the true value and hopefully graduate to habit-forming activities. These work very well in pure services like coffee shops and fitness clubs, but also in the case of products where a product innovation may be important yet too subtle to be immediately obvious. A case in point is the 2013 launch of Magnum’ Ice Cream’s new pleasure pots, where Unilever used a combination of social media and digital coupons. A social media competition was launched and the first 5,000 twitter respondents were rewarded with a private message with a personal coupon. These coupons could be redeemed at any retail location in the UK. This was a quick way for the luxury ice cream retailer to drive sampling of its new product range. Finally, if you are in a business where yield management is your target (restaurants, hotels, airlines, spas, gyms), sending time-limited vouchers is a no-brainer. A deployment that TechMobia was with involved a capacity problem that cinema owners in India face: that Tuesdays is the lightest day of the week and seats go empty. We brokered a deal between cinemas and Vodafone, who were looking to provide rewards to its postpaid subscribers by launching a discount coupon program called Vodafone Tuesdays where Vodafone subscribers were entitled to a buy 1 get 1 free deal on certain cinemas on Tuesdays. The platform was a great hit, and helped to procure incremental revenue for theatres and additional goodwill towards Vodafone. Hyper-everything : The ability to tailor the design of your vouchers to be time-bound (from say 15th August to 31 August), time valid (from 3pm to 5pm only) and spatial (valid only in specific stores in Ghaziabad) allows you to have access to a new set of demand levers. What underpins this level of dynamic pricing is the quality of data and reporting of the voucher performance. For instance, US gro­cery stores such as Safe­way and Kroger use their knowledge of how their cus­tomers shop in order to deliver per­son­al­ized pric­ing given the items they buy most. Using different algorithms to determine the offered price, they offer dif­fer­ent coupons and prices to cus­tomers in the hope that they will spend more. Multichannel : If product or service is likely to be consumed in a variety of store formats — some company owned and some not — and the voucher technology needs to work at every touch point. Fortunately, this can be easily implemented thanks to the ubiquity of mobile phones. So if it is a rural consumer using a feature phone or a urban consumer swiping with her credit card, the same voucher can be redeemed in both cases. Vouchers at product strategy-level : Digital vouchers work best when they are integrated into every arm of your sales channel. How you enable your POS retail systems and retailer communications have direct impact on couponing. Couponing can also serve to empower retailers, so for example rather than push coupons directly to the consumer, you may decided to provide a fixed number of coupons or coupon value to each retailer and leave it to the retailer’s discretion to select the recipients. Much of this requires considering early planning and it is always wise to consider laying down the framework for digital couponing early on so that subsequent deployment can be both easy and rapid.